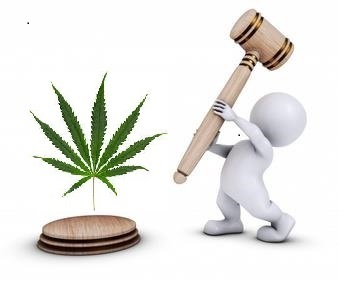 On October 17, 2018, the use of recreational cannabis became legal in Canada; however; the government gets to decide when and where marijuana use is permitted. Any infraction can lead to fines and charges. The laws governing the use of marijuana differ by province. When traveling to different parts of Canada, don’t assume that the cannabis laws in Nova Scotia are the same in other provinces. The legal age to use, buy, grow or possess cannabis in Nova Scotia is 19. In Nova Scotia adults of legal age can grow up to four cannabis plants per household (not per person). Be aware that municipalities may enact bylaws that further restrict cultivation. If you intend to grow marijuana in your home you need to be aware of the local bylaws within your community. In Nova Scotia, cannabis can only be purchased from authorized retailers. The Nova Scotia Liquor Commission is the only authorized retailer. It is permissible in Nova Scotia to create edibles at home that contain cannabis for personal use; however, it is illegal under federal law to sell edibles. The rules for transporting Cannabis in your vehicle are the same as alcohol. It must be in a closed, sealed package and out of reach from anyone in the vehicle i.e. the trunk of your car. You cannot use cannabis in any form in a motor vehicle, including a boat. This applies not only to drivers but passengers in the vehicle. How long should one wait after using cannabis before it is safe to get behind the wheel? Health Canada says that unlike alcohol, the existing scientific evidence does not provide general guidance to drivers about how much cannabis can be consumed before it is unsafe to drive. Health Canada reports that impairment can last up to 24 hours; however, the effects of cannabis are very subjective. The safest and easiest answer is don’t toke and drive. When in doubt regarding the legal use of cannabis in Canada you should refer to the Federal, Provincial and Territorial governments, who all share the responsibility for overseeing the cannabis regulation system.